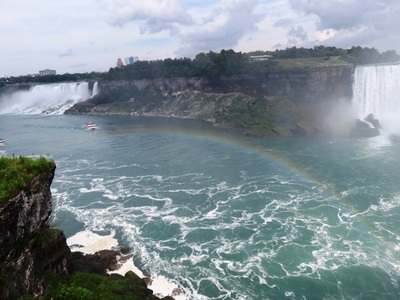 Niagara Falls are a set of three falls: American Falls, Bridal Falls and Canadian or “Horseshoe Falls”. 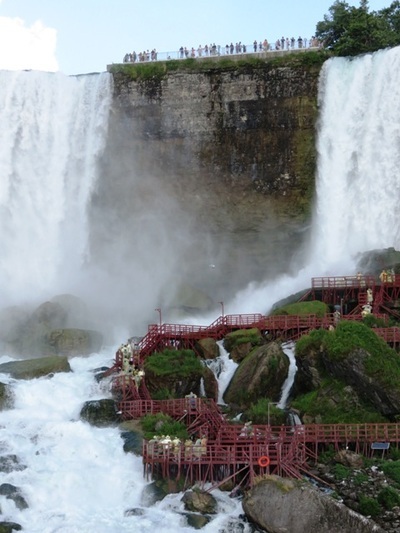 They fall from a height of 176 feet with a water volume of 567,811 litres per second which would be more were it not for the two hydroelectric plants which draw water into their reservoirs prior to the Falls. 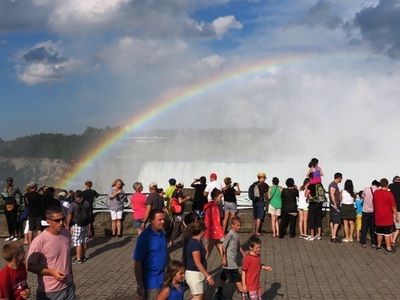 The falls are located on the boarder between Canada and the United States with, according to a United States Geological Survey almost 1/3 of the Canadian Falls lying within US territory. Attracting about 12 million tourists each year, Niagara Falls is the second largest falls on the globe next to Victoria Falls in southern Africa. In fact, four of the Upper Great Lakes-Michigan, Huron, Superior and Erie (containing one-fifth of the planets fresh water) all empty into the Niagara River and eventually cascade over the falls. The combined falls form the highest flow rate of any waterfall in the world. 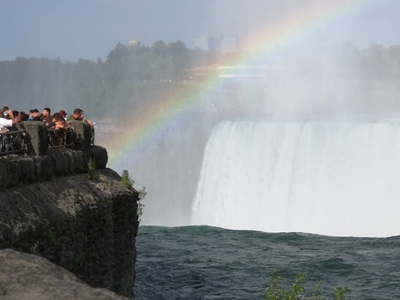 At the bottom of the falls, the water travels 15 miles over many gorges until it reaches the fifth Great Lake-Ontario. 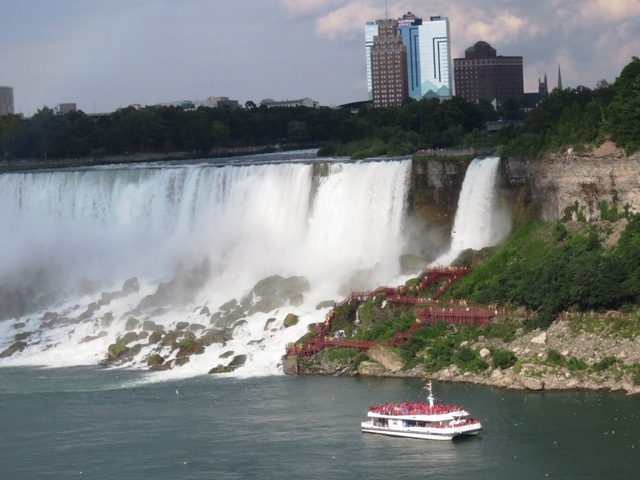 The land between the lakes does not slope at an even grade, but forms a spectacular drop approximately the same height as a 20 story building and this is known as the "Niagara Escarpment”. 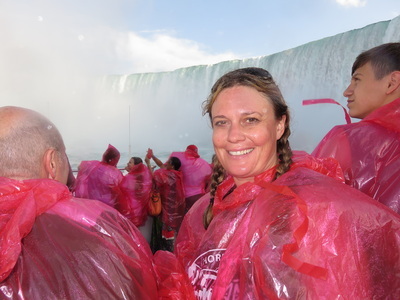 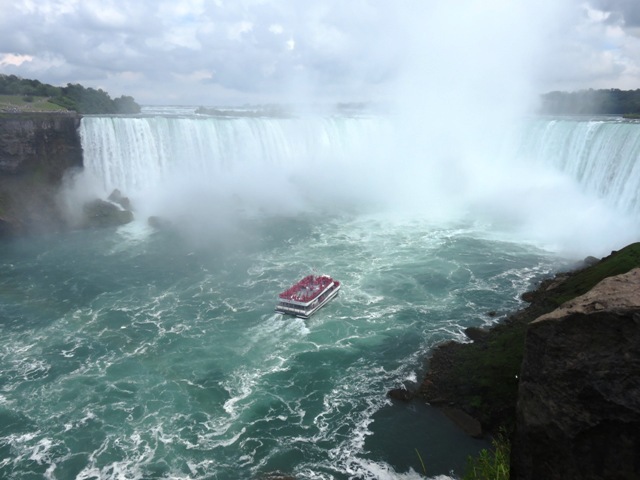 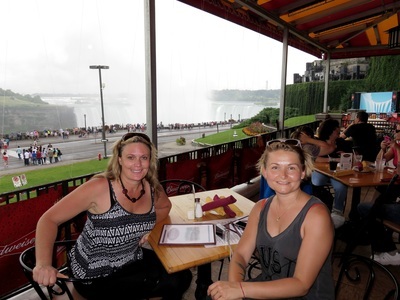 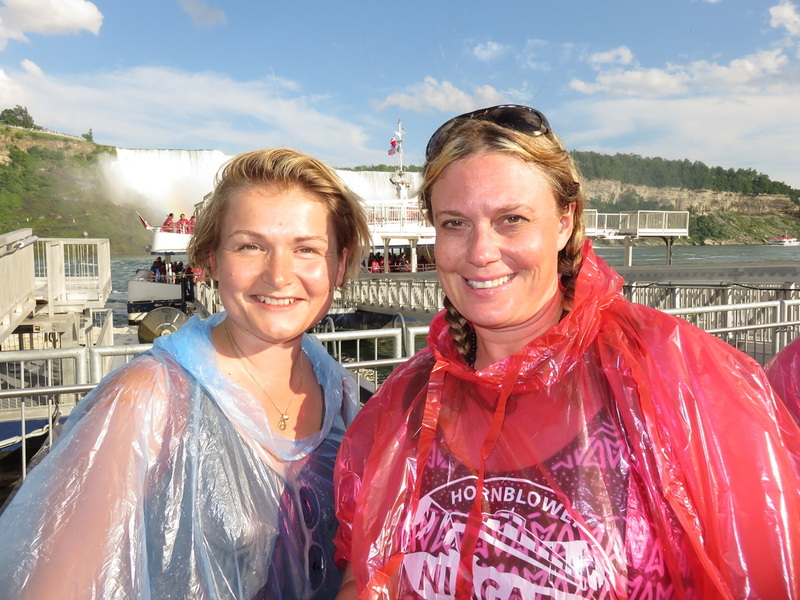 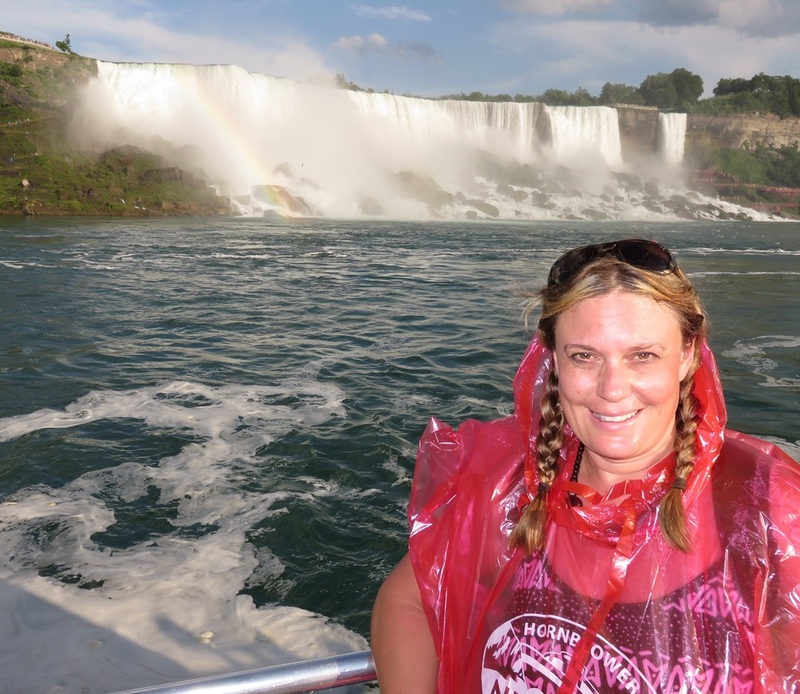 There are many ways to visit the falls including boat tours on either the Maid of the Mist or the Hornblower. 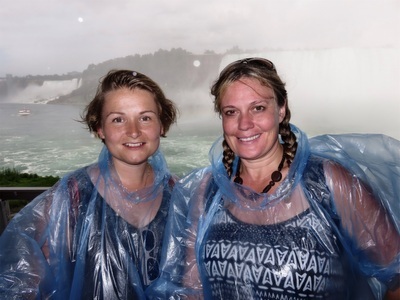 Visitors are given plastic rain jackets and brought to the base of both falls where they can experience first hand the powerful force of the water and the mist it creates as it plummets over the edge and lands at the bottom. 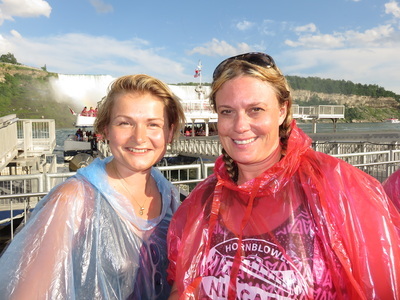 Another way to experience the falls is to “Journey Behind the Falls”. 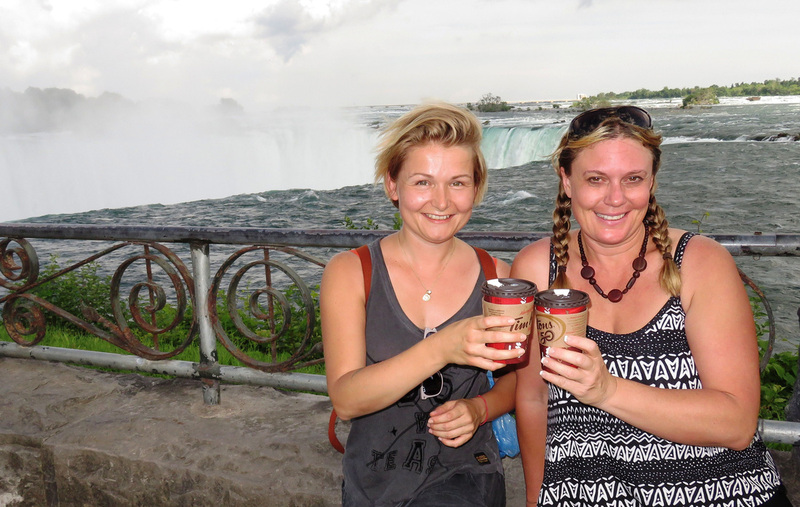 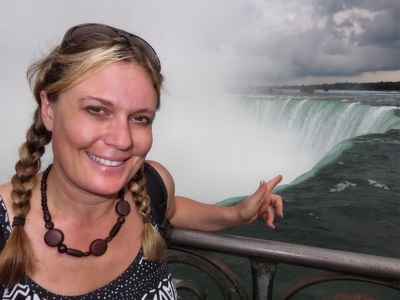 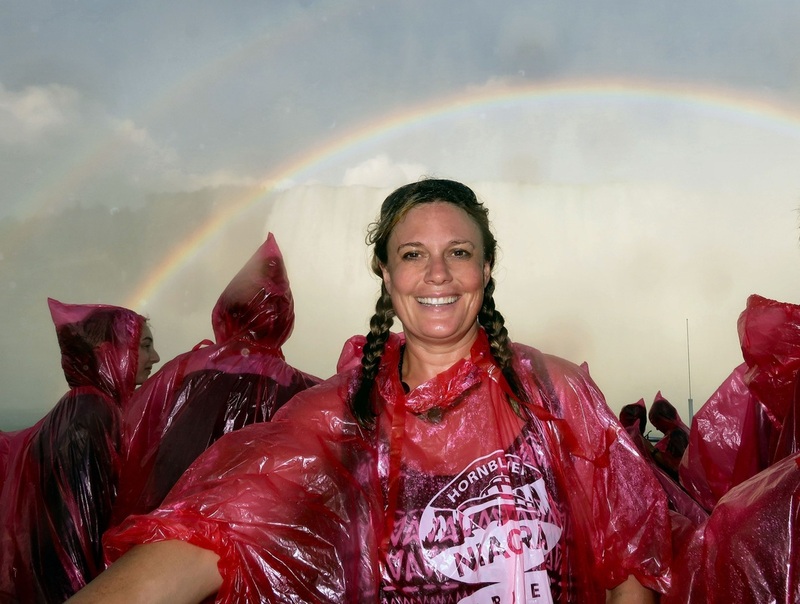 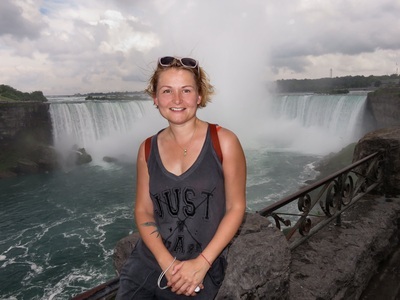 This experience starts at the Niagra Falls visitor center on the Canadian side of the falls. Visitors take an elevator down to a set of tunnels with portals that peek out in two different places behind the falls. They can also visit two viewing decks at the bottom of the falls to get a unique perspective of this natural wonder.